school of law - Phillips Murrah P.C. Jim Roth, Phillips Murrah Director and Oklahoma City University School of Law Dean, announces the revival of OCU Law’s Alumni association at a meeting in early September. 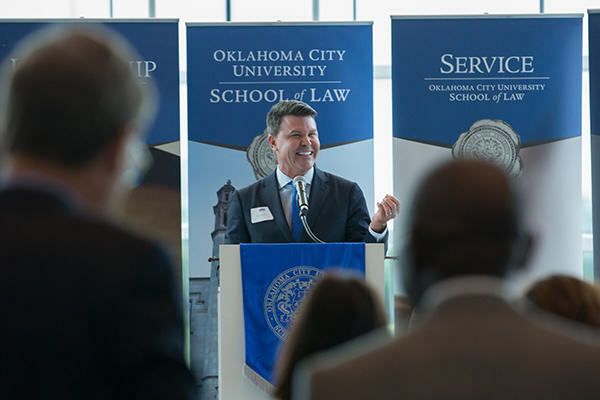 Jim Roth, Phillips Murrah Director and Oklahoma City University School of Law Dean, announced the reestablishment of OCU Law’s Alumni Association in September. 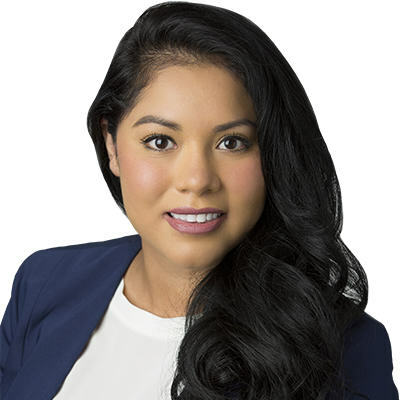 With more than 7,000 OCU Law alumni invited to join the revamped Association, Roth comprised a Board of Directors of OCU Law alumni, including Phillips Murrah attorneys Monica Y. Ybarra and Martin J. Lopez III, to oversee development and progress. Upon announcement, the Board of Directors voted to elect Ybarra as the first Chair of the association. The association is in the planning stages for the coming year, and the Board will be holding a launch event in November to kick off the association, said Ally Rodriguez, Director of Alumni Relations. To learn more about OCU Law’s Alumni association, visit their website here. By Jim Roth, Director and Chair of the Firm’s Clean Energy Practice Group. This column was originally published in The Journal Record on June 4, 2018. Occasionally in life our journeys come full circle in a way that allows for reflection and gratitude, such as this, my last recurring column in this newspaper. As a 13-year-old I was a paper boy for my hometown’s Wednesday and Friday Johnson County Sun newspaper. I would come home from school, find the large bundles on my doorstep, set about folding them and placing them inside the large canvas side bag and ride my bike while throwing the papers onto the lawns of the subscribing homeowners, often until dusk. In the rain the papers got a plastic bag, otherwise green rubber bands bound the tri-folded news. And then once a month I would walk the neighborhood knocking doors to collect the $2 per subscriber. I much preferred the time on my bike rather than the time chasing money. That hasn’t changed. What has changed for me personally is that for the past nine years I have had the privilege to share a weekly column on the inside of a newspaper and a really good paper at that. The Journal Record is Oklahoma’s oldest business publication and since 1903 scores of hardworking reporters, designers, editors, printers and staff have consistently created an award-winning daily general business and legal publication. It’s been an honor to be an occasional columnist among those hard-working folks. What has changed for the industry since 1903 is monumental. Gone are the Norman Rockwell-esque newspaper routes across America, replaced in part by online subscribers and clicks to drive readers’ interest and revenue. Color, font size, specialty sections and even the size of headlines compared to the size of news stories have all changed. But one thing hopefully has remained true: Americans need real and accurate news to not only sustain, but to improve, the greatest experiment in human governance, this American adventure of ours. And we need to actually read it for it to matter. Today, my car radio presets for satellite news scroll through CNN, MSNBC, Fox News, CNBC and the BBC. When those five prove frustratingly weak, biased or more ads than substance, the sixth preset is the comedy station for a much-needed break from it all. But we can’t take too many breaks from it all, or the hot air and yellow journalism risk replacing the importance of accuracy, fair reporting, deep thinking and the power of sunshine for our society. So Thank You. Thank you to you readers for your interest in this publication and the importance of good journalism from these full-time professionals at The Journal Record. Thank you to those of you in journalism and news today who actually strive to be accurate, who know being balanced is more than a slogan and it requires genuine effort, and to those of you working long hours to provide today’s 24/7 news appetite, but who know that no matter how late the story, the truth is always timely. I am grateful for you. And I am grateful for the chance to have shared energy and environmental ideas and observations for Oklahoma and beyond these past years, in a publication that strives every day to deliver the truth. Thank you. Jim Roth has been appointed to serve as the new dean of the Oklahoma City University School of Law beginning July 1, and as an alum of OCU Law, will be enjoying that life’s full-circle opportunity of service. Jim Roth, Director and Chair of Phillips Murrah’s Clean Energy Practice Group, began a new role at Oklahoma City University’s School of Law last week. 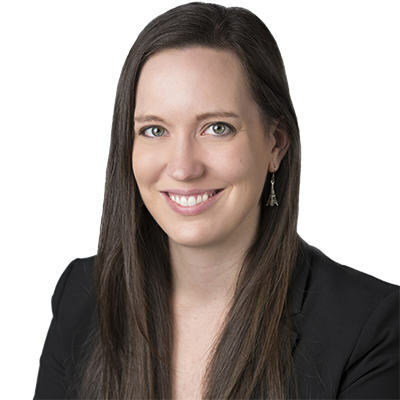 “Dean Valerie Couch reached out to me and asked if I would be interested in their inaugural ‘Distinguished Practitioner in Residence’ effort for this Spring Semester,” Roth said. Roth will teach a seminar class on Energy Law and Regulation and initiate an Energy Roundtable for the Spring 2017 semester. “My ultimate hope is to inspire law students and young lawyers to pursue a career in the dynamic field of energy, or at least encourage them to have a deeper understanding of all the issues and cross-currents that drive energy in America and beyond,” he said. For more information about OCU’s School of Law, click here. Rodney L. Cook is experienced in all areas of tort litigation with special emphasis in the practice areas of product liability, warranty, insurance and fraternity law. Phillips Murrah Attorney Rodney L. Cook has been appointed as an adjunct professor at Oklahoma City University School of Law where he will be teaching Pretrial Litigation this semester. He continues to serve as an adjunct professor at the University of Oklahoma College of Law where he has taught Civil Pretrial Litigation for ten years.